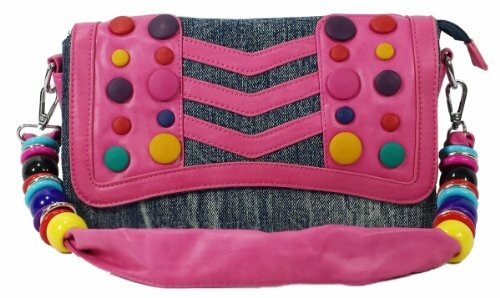 k13504 Mylux Women/Gril Close-out Clutch Bag (pink) | Accessorising - Brand Name / Designer Handbags For Carry & Wear... Share If You Care! This bag is beautifully made. The material is soft, and substantial. The hardware is high quality. It’s both classic & chic. This is a bag you keep forever! Cuffu Online and luxurious totes offers sophisticated style that’s timeless. Available in versatile colors and shiny metallic shades, this handbag is sure to add a brilliance touch of flair to any outfit from everyday to business wear. With use of high-quality meterial, shiny hardware and fine pleating, you’ll love the allure and attention to detail in this tote’s design. A roomy interior and multiple pockets will keep you organized.